Now that’s what you call a height differential! Versatile – the Ministore can be used for the refrigerated storage of many everyday things including flowers, fish, meats and vegetables. It is also popular with the medical and scientific sectors (hospitals, labs). We have even supplied this small size of cold room for storing carbon fibre rolls used in the construction of Formula 1 racing cars. Offering hygienic and maximum storage within a compact housing, it is also ideal the ideal cold room solution for private use and we are seeing an ever increasing level of interest from homeowners. Flexible Design – different standard sizes available (with or without floor, for positive/negative temperatures) with options of door sizes/types (wider door of 920mm instead of 700mm) or a glass door with double-glazing or even insulated hatches. 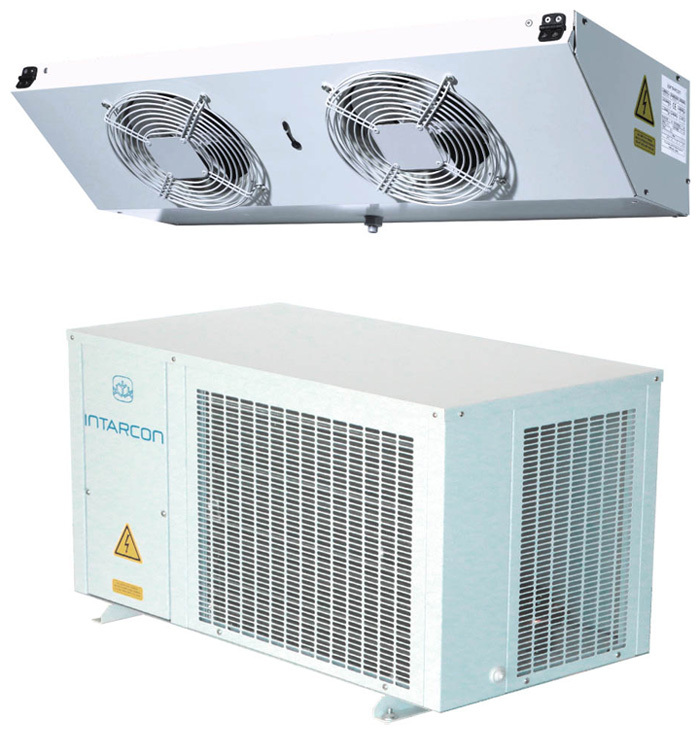 Intarpack – a condensing unit line that comprises capacity from 5 to 75 kW. Totally enclosed condensing units for outdoor installation (on the ground or roof). Popular where you need to be mindful of noise (down to 39 dBA at 10 m with the low noise option). 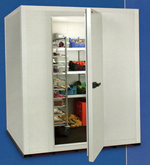 Also a great option if you need to operate under extreme outdoor temperatures. For more information or if you would like a no-obligation quotation for an individual small cold room package please contact us today. You will have the benefit of over 30 years’ experience in the cold room business (our Technical Director Mr Allen Strange) to help you make the right choice. We look forward to hearing from you.